Swollen joints of arthritis may cause tremendous pain and even limit your ability to move. If you suffer from arthritis, it is good to know the pain relief options available, especially doctor-recommended formulas and all natural solutions. Exercise relieves pain by stretching and relaxing sore muscles, but the truth is, you can only exercise so much, and you shouldn’t take more pain relievers than necessary. There are many arthritis creams that can help when applied to a painful area. Over-the-counter (OTC) pain relievers like non-steroidal anti-inflammatory drugs (NSAIDs) reduce swelling. 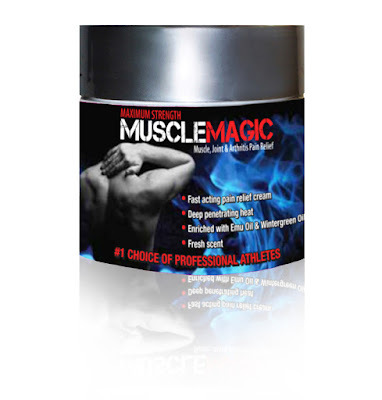 A proven formula is MUSCLEMAGIC PAIN RELIEF CREAM. It contains capsaicin (among other all natural pain relievers) to alleviate arthritis pain. This formula incorporates specifically incorporates Capsaicin, an element found in hot chili peppers, as it reduces pain by blocking the skin’s pain receptors. It further contains a salicylate - Wintergreen oil - a natural ingredient which contains methyl salicylate proven to alleviate pain. According to a review published in the journal BMJ, creams containing salicylates have been shown to work moderately well in treating arthritis pain. The potent formula is further enriched with Camphor, which warms the skin and distract the brain from pain. OUTBACK PAIN RELIEF is one of the best pain relief products. one people says HEY, THIS STUFF WORKS! I've been using OPR on two injuries I sustained doing remodeling projects last fall. No broken bones, just mashed and bruised injuries. OPR has lessened residual pain, stiffness, and bruising amazingly. I will buy it again and highly recommend."